Roy Y. Suenaka Sensei, founder of Wadokai Aikido, began his martial study at age four under his father in their birthplace of Honolulu, Hawaii. This early tutelage in judo, ju-jitsu, kempo and boxing was soon augmented by instruction in Kodenkan ju-jitsu under founder Henry Seishiro Okazaki, kendo under Shuji Mikami, and Kosho-ryu kempo under the renowned James Masayoshi Mitose. Following Koichi Tohei's inaugural visit to Hawaii in 1953, at age twelve Suenaka Sensei commenced what was to become his lifelong study of aikido. Suenaka Sensei studied under Yukiso Yamamoto until 1958, when he enlisted in the U.S. Air Force. Following his initial service in Sacramento, California, where he became one of the first instructors to teach aikido on the U.S. mainland, in 1961 Suenaka Sensei was assigned to Tokyo, Japan, and later to Okinawa. – From 1961 until 1972 – interrupted only by a mandatory two-year assignment to Honolulu Suenaka studied extensively with aikido founder Morihei Uyeshiba O'Sensei, son Kisshomaru Uyeshiba Sensei (then doshu), and Koichi Tohei Sensei, serving when military duties permitted as uchi-deshi (live-in disciple) at the Aikikai Hombu (headquarters), during which time O'Sensei presented Suenaka Sensei with a menkyo-kaiden certificate of aikido mastery. At age 21, Suenaka Sensei became the first person to open a successful aikido school in Okinawa, in Kadena. While there, he also commenced private study in Matsumura Seito karate-do and kobudo under the legendary Grandmaster Hohan Soken Sensei, with emphasis on Hakutsuru Shorin-ryu technique. He also continued his study of judo and ju-jitsu at the Kodokan world judo headquarters, particularly under Kyuzo Mifune and Kazuo Ito, the latter of whom sponsored Suenaka Sensei's promotion to sandan in judo and ju-jitsu. Following O'Sensei's death in 1969 and Koichi Tohei Sensei's subsequent separation from the Aikikai, Suenaka Sensei allied himself with Tohei Sensei's then-infant International Ki Society, receiving from Tohei Sensei an okuden certificate of advanced Shin-Shin Toitsu Aikido proficiency and serving as an International Ki Society shihan (chief instructor). In 1972, Suenaka Sensei was assigned to Charleston, S.C., where he opened the Southeastern U.S. Ki Society dojo. Disillusioned, however, by the escalating factionalism within both the Ki Society and the world aikido organization, particularly the political and philosophical conflicts between Koichi Tohei and Kisshomaru Uyeshiba Doshu, in 1975 Suenaka Sensei resigned from the Ki Society and created his own organization, the American International Ki Development and Philosophical Society, under which he taught Suenaka-ha Tetsugaku-ho Aikido and Hakutsuru Shorin-ryu karate-do. Suenaka Sensei devoted himself to full-time teaching upon his Air Force retirement in 1978. 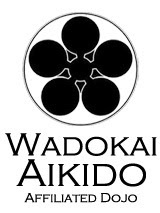 In 1996, he changed the name of his umbrella organization from the AIKDPS to Wadokai (the peaceful way) Aikido. 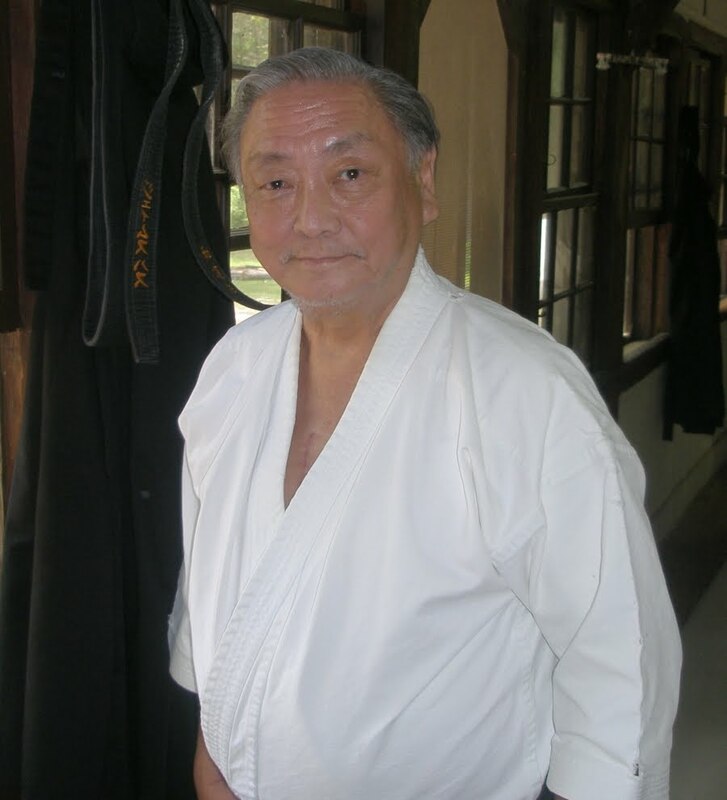 Roy Y. Suenaka Sensei is ranked nidan (second dan) in kendo, sandan (third dan) in judo and ju-jitsu, and rokudan (sixth dan) in Matsumura Seito and Hakutsuru Shorin-ryu karate-do and kobudo, the latter rank awarded by Grandmaster Hohan Soken himself. He is recognized as hachidan (eighth dan) in aikido by the International Black Belt Federation. In addition Suenaka Sensei was awarded an aikido menkyo kaiden (master certificate) by the founder, Morihei Ueshiba O'Sensei. Suenaka Sensei also saw active combat duty in Vietnam, where he taught unarmed combat skills to Army Special Forces, Navy SEALs and others. Suenaka Sensei is the author of Complete Aikido: Aikido Kyohan, published by Charles E. Tuttle Company. He currently resides and teaches in Charleston, S.C., where he is at work on his second book.